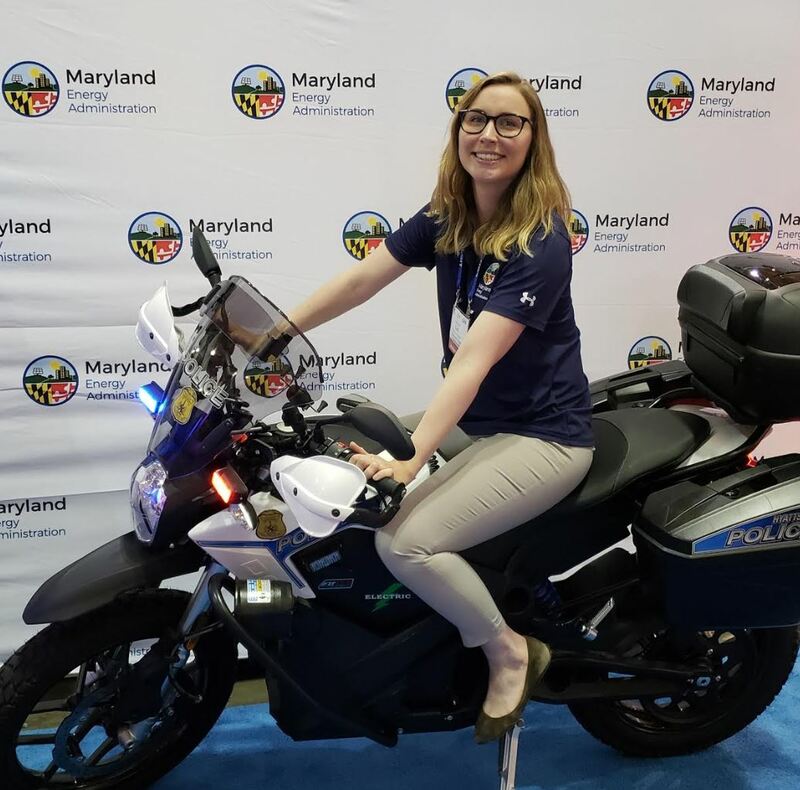 Program Manager Caitlin Madera at MML ‘s 2018 Summer Conference. 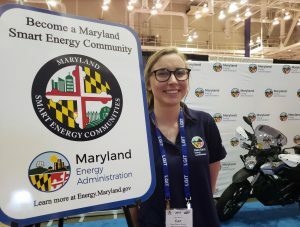 The goal of the Maryland Smart Energy Communities (MSEC) program is to inspire local governments to adopt and implement policies that promote energy efficiency and renewable energy in their jurisdictions. Past awardees have used funds towards cleaner public transportation, installation of a solar farm, upgrading street lights with energy efficient measures and a host of several other improvement projects. 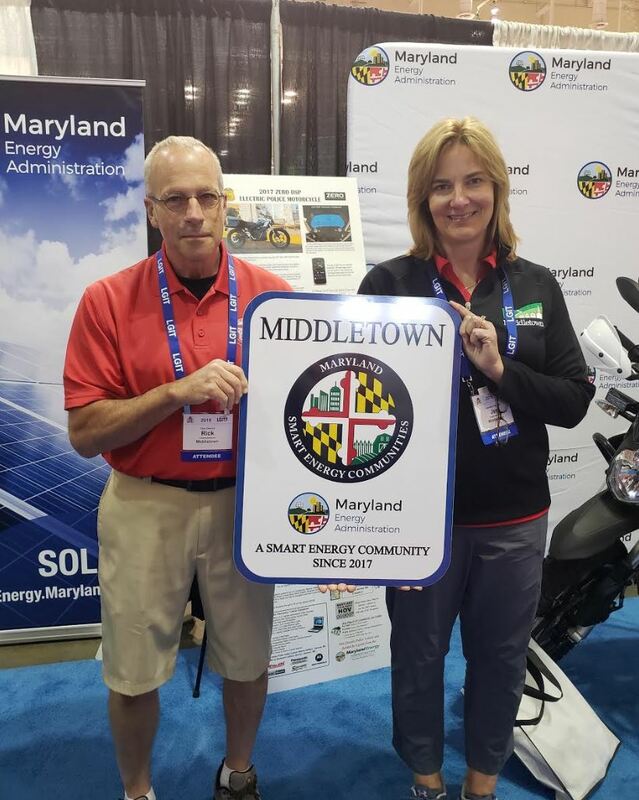 MSEC encourages communities to take the necessary steps in the effort to reduce energy usage, pollution and GHG emissions. Program Manager Caitlin Madera with the Hyattsville Police’s all electric motorcycle, paid for in part by an MSEC grant. 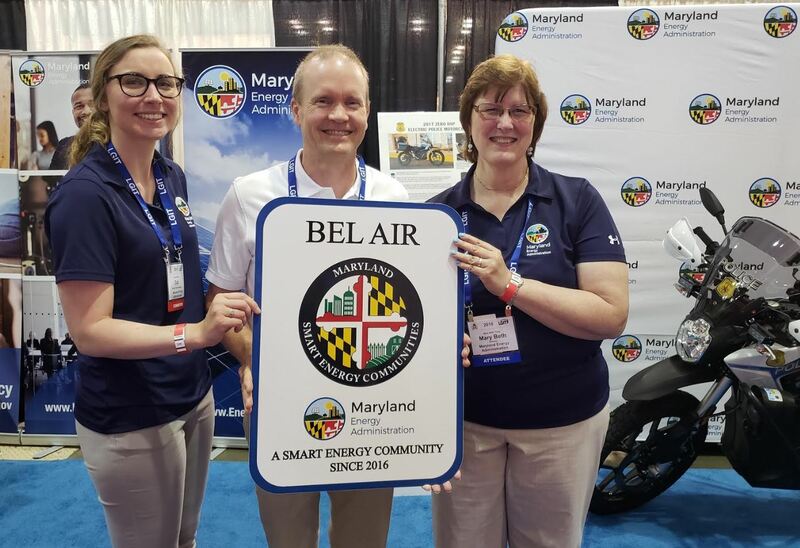 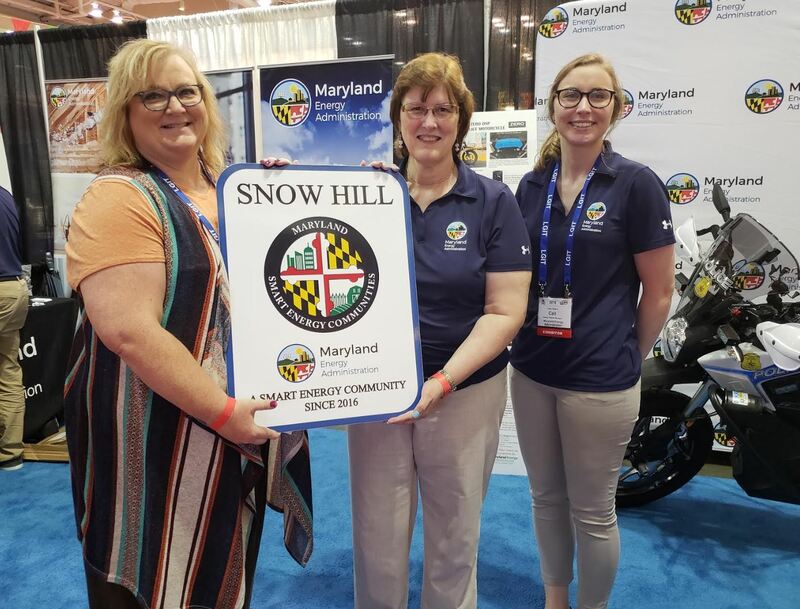 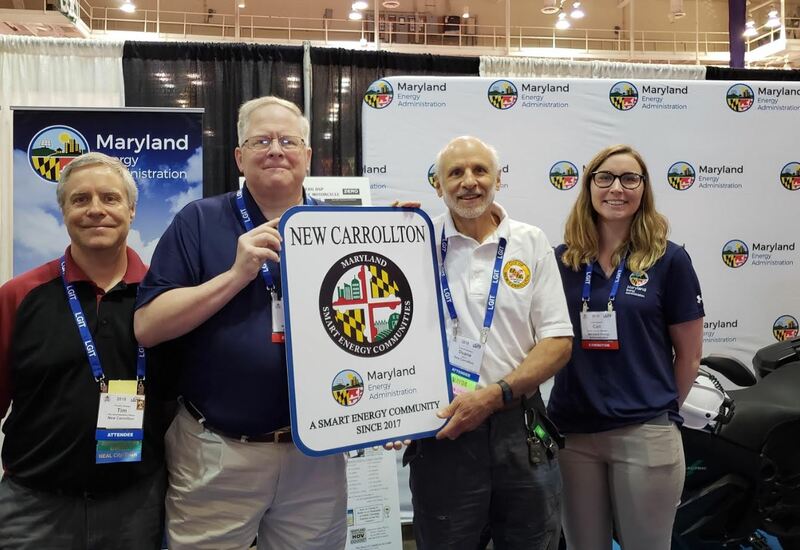 We were honored to present some our out newest members with signs at last month’s Maryland Municipal League (MML) Summer Conference in Ocean City, MD. Director Tung and Program Manager Caitlin Madera welcome Bel Air, MD to MSEC. 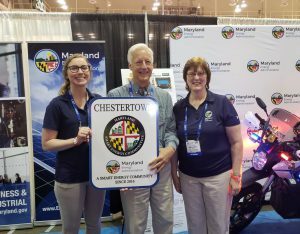 Director Tung and Program Manager Caitlin Madera welcome Chestertown, MD to MSEC. 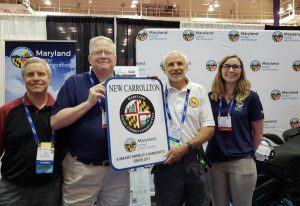 Chief of Staff Williams and Program Manager Caitlin Madera welcome New Carrollton to MSEC. Director Tung and Program Manager Caitlin Madera welcome Snow Hill to MSEC. Applications for the Fiscal Year 2019 Maryland Smart Energy Communities (MSEC) are due October 10, 2018. For more information about MSEC or other Maryland energy programs, click here.